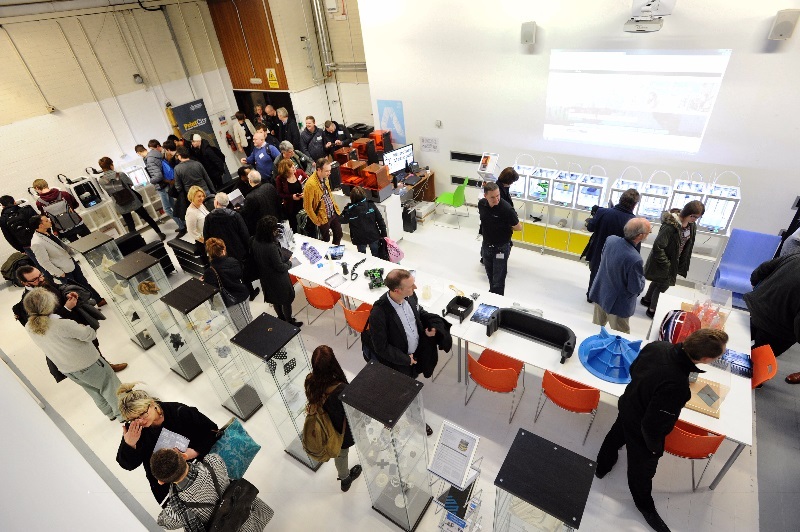 PrintCity, Manchester Metropolitan University's new advanced 3D printing hub, has been officially launched. The workshop, based in The Shed, boasts state-of-the-art printers that can create virtually anything through additive manufacturing, when products are built layer by layer by 3D printers, or subtractive manufacturing, where material is removed step by step from a larger piece of material to sculp and shape the finished item. PrintCity was launched yesterday evening with a number of speeches and a tour of the facility for an audience of more than 300 staff, students, industry representatives and businessmen and women. Professor Craig Banks, academic lead for PrintCity, told guests: "Our key words are 3D, because we work in the additive manufacturing space; Innovative, because people come in and work with us and we help them become more innovative and creative; Collaborative, because we are open for business and we want to work with others; and finally at the heart of everything we do is: Educate. "That is why we pitch ourselves not just as a print shop but a digital training centre that is bridging the skills gap between what graduates have and what industry needs. "We are teaching students CAD (Computer-Aided Design) and they are picking up this software, running with it and being disruptive. "That is our USP - we will teach anyone CAD and digital workflow, from fashion and healthcare through to fine art, and will get their items printed rapidly." 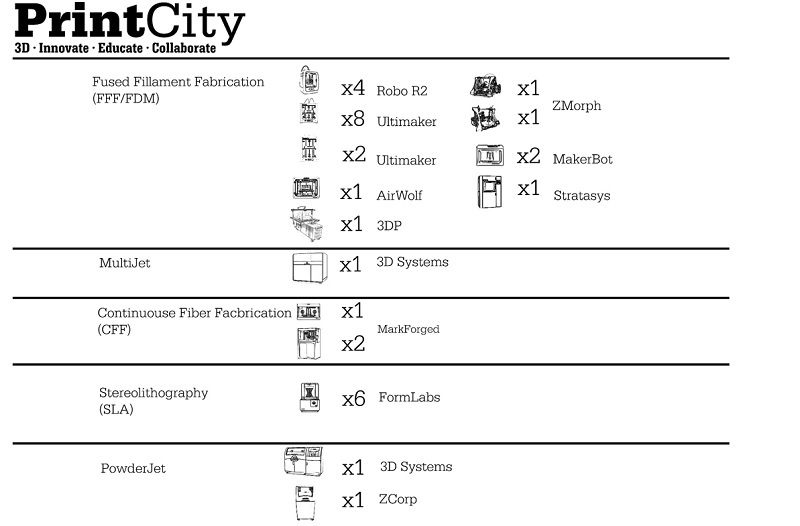 Some of the products produced by PrintCity so far include a lampshade rendered from the physical shape of a soundwave, and 3D-printed moulds used to create nose and ear prosthetics made out of biomaterials. PrintCity exemplifies the vision of the Government's Industrial Strategy 4.0 that seeks to boost the UK's productivity by fostering a fourth industrial revolution underpinned by internet-enabled technology, digitalisation, connectivity and innovation. The event also marked the launch of the new Msc in Industrial Digitalisation whose 2018 intake will be the first. It takes advantage of all the equipment and expertise PrintCity has to offer and will be use to not only those students studying engineering but medical science, fashion, photography and art among others topics. 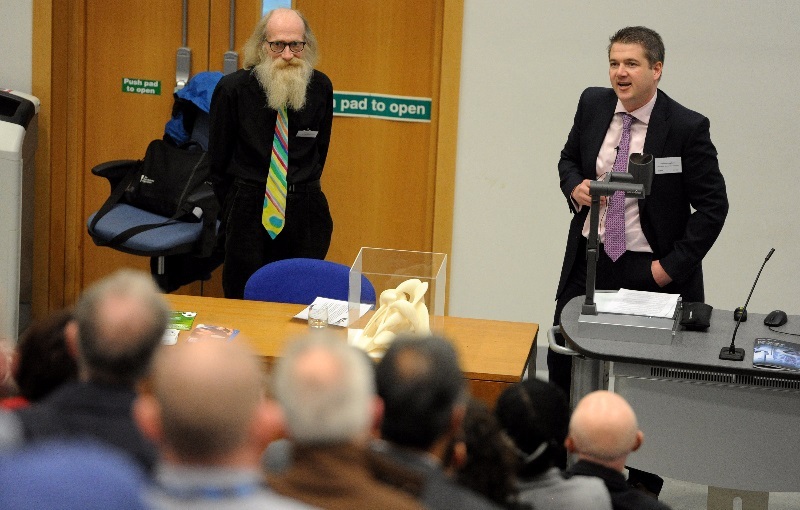 Professor Banks told the audience: "We're ahead of the curve. "The course is going to deliver core skills in CAD up to a very high level and around the Internet of Things, and students will undertake project management, and learn about trademarking and patenting. "They will learn about generative design, where software can really be intuitive for you, and industry figures will be teaching on the course. "The students who will come out of this MSc will be the entrepreneurs of the future and will be highly employable." 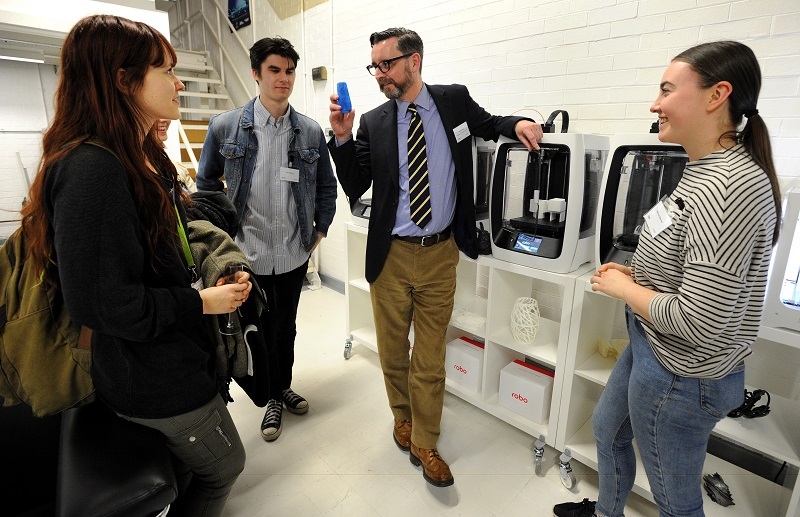 PrintCity will engage with schools, college and SMEs as well as larger companies to introduce pupils to the world of 3D printing and to deliver training courses to professionals. Professor Banks announced a new partnership between PrintCity and 3D printer manufacturer Robo to establish the UK's first Robo Print Farm to deliver small additive manufacturing, training, a try-before-you-buy scheme for SMEs and blue-chip companies, and research and development projects.